Indonesian police say they arrested a Russian tourist last week who was trying to smuggle a drugged orangutan out of Bali. They say they also found geckos and chameleons in the man's luggage. Indonesian police say they arrested a Russian tourist last week who was trying to smuggle a drugged orangutan out of Bali. They say they also found geckos and chameleons in the man's luggage. 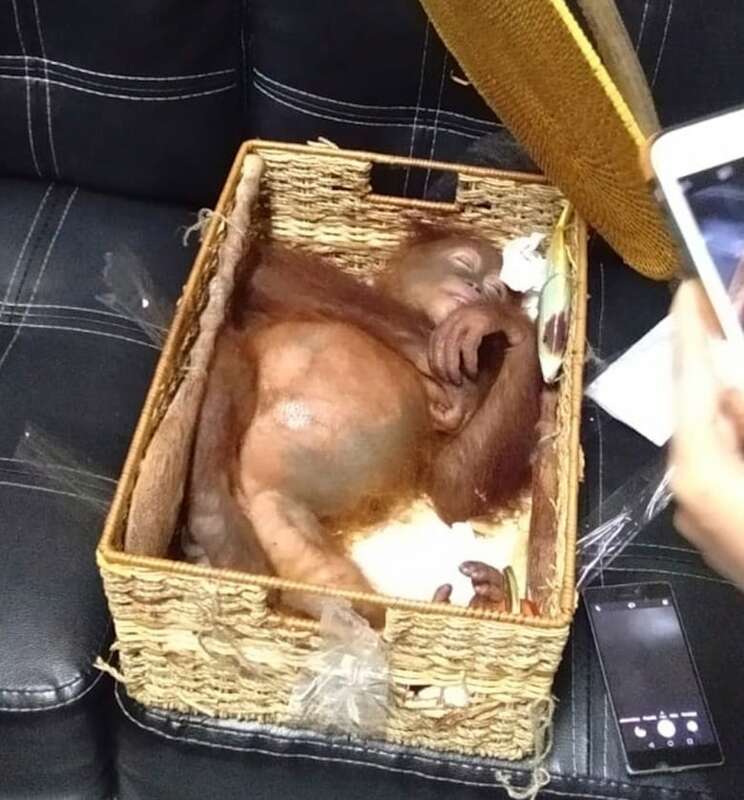 Andrei Zhestkov was detained late Friday at Bali's international airport after security officers X-rayed his luggage and found a two-year-old endangered male orangutan sleeping in a rattan basket. Police showed the suspect along with the lizards and other evidence at a news conference on Monday. Zhestkov, wearing an orange detainee uniform, refused to comment. 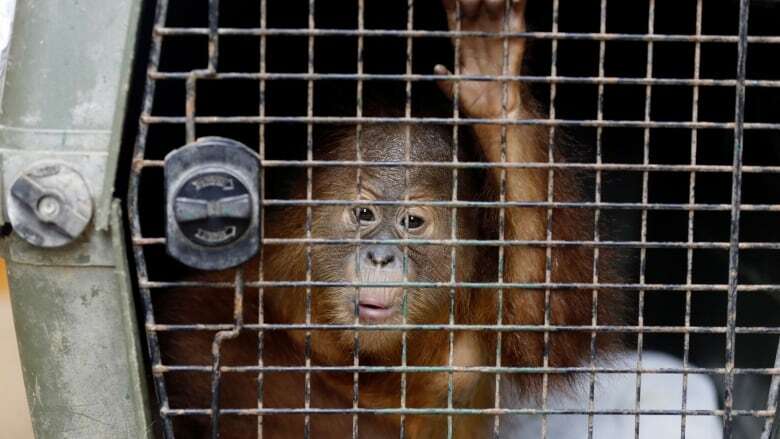 Local police Chief Ruddi Setiawan said Zhestkov had confessed that he bought the orangutan for $3,000 US from a street market on Indonesia's main island of Java. He said Zhestkov said he fed it allergy pills mixed with milk so it would lose consciousness for up to 10 hours on his planned flight back home to Vladivostok. Orangutans are listed as critically endangered by the International Union for Conservation of Nature. Only around 13,400 Sumatran orangutans remain in the wild.